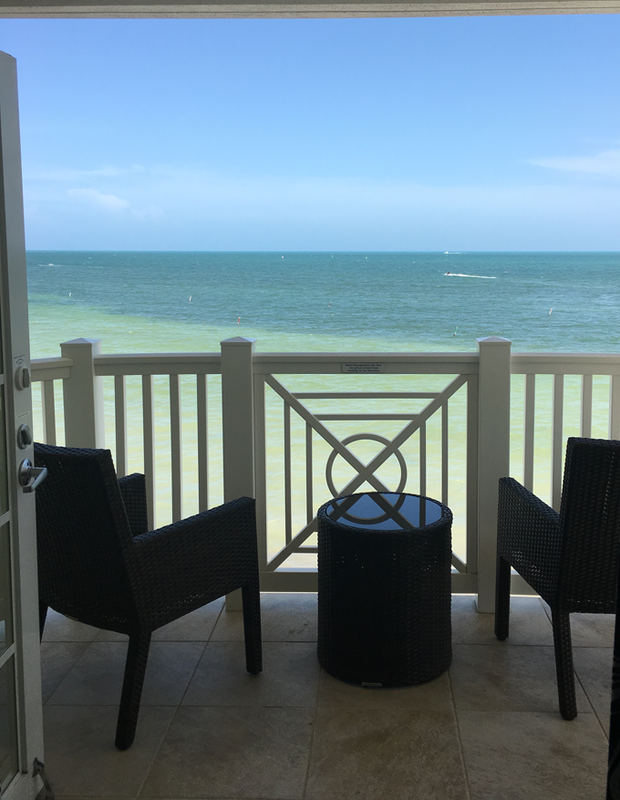 I am finally getting around to sharing the resort we stayed at while in Key West. This post is heavy with pictures but they are all necessary to help you experience the same wonderful time we had while on vacation. 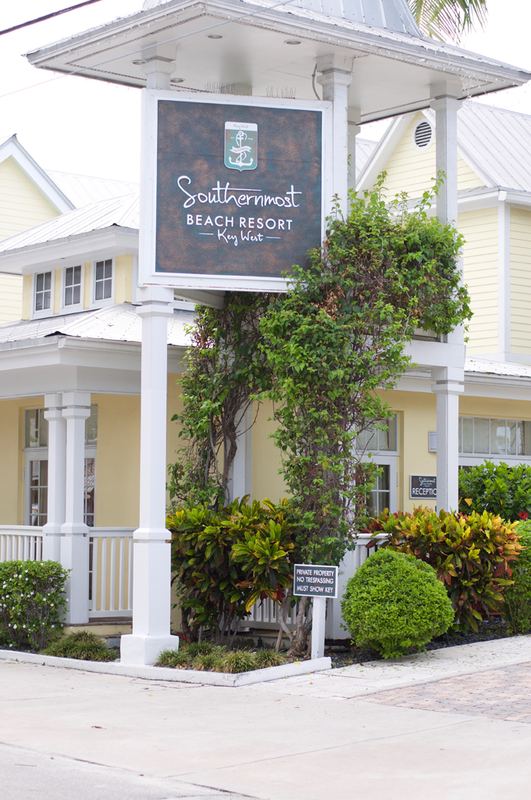 I did some research prior to our trip down to Key West and after checking out several hotels and wonderful places to stay I kept coming back to The Southern Most Beach Resort. 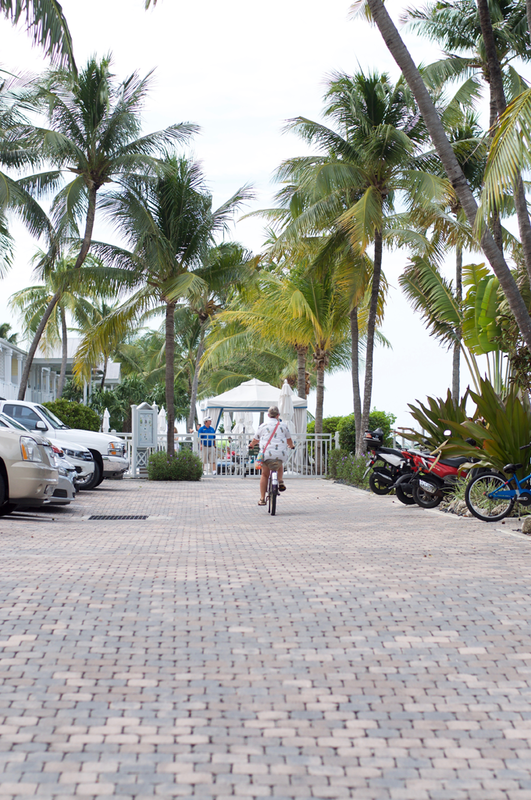 I was drawn to the fact it was the southern most point, offered beautiful views and had great reviews for their service. We arrived with no reservations. Yes you read that correct, none!! 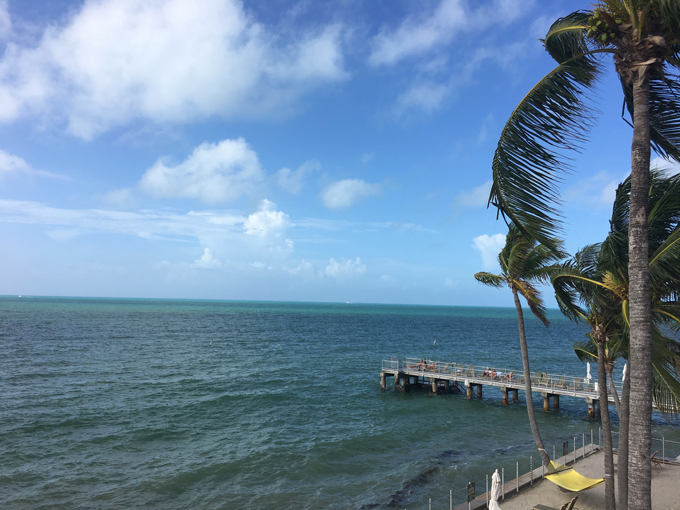 I shared my thoughts behind this concept that you may read when I shared my Vacationing in Key West post. 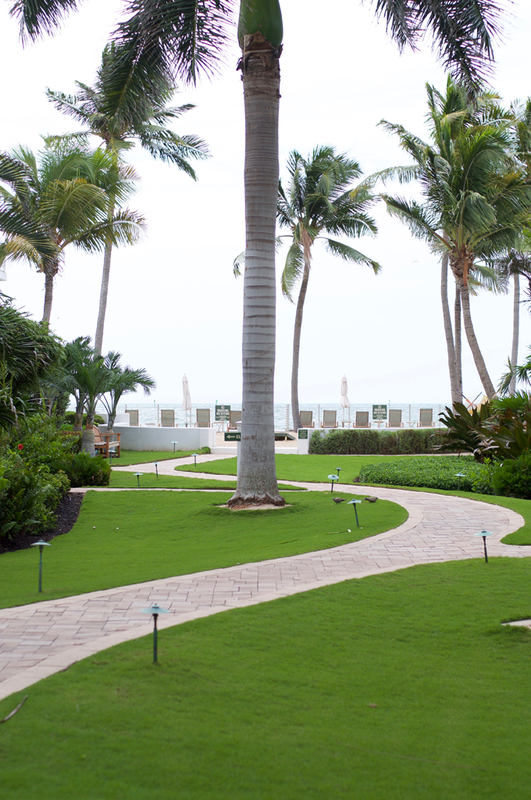 Truly a resort atmosphere with lush greenery and well manicured lawns; we enjoyed all the amenities. The grass was so fine and soft, it was like baby hair. 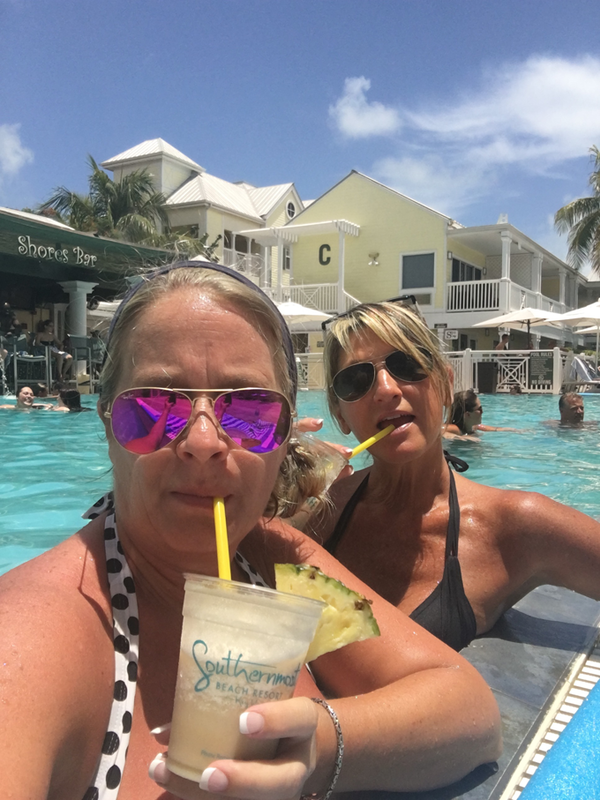 With multiple pools to enjoy while staying at The Southern Most Beach Resort, one being all adult, we opted for the pool with the bar. No surprise there. 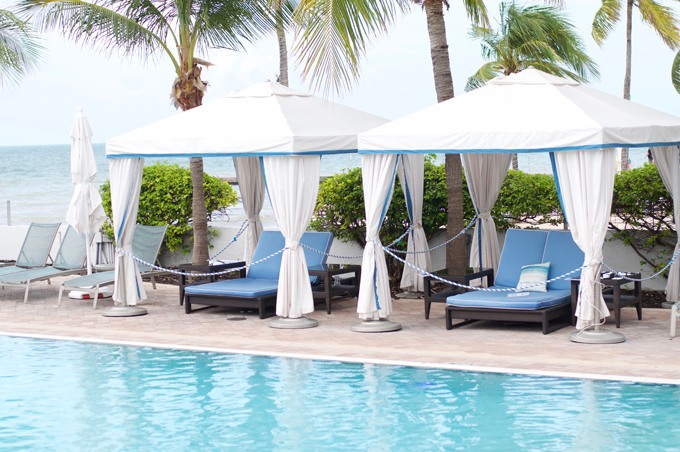 The staff would see to your every need and gladly delivered our cocktails directly to us while we enjoyed the pool. 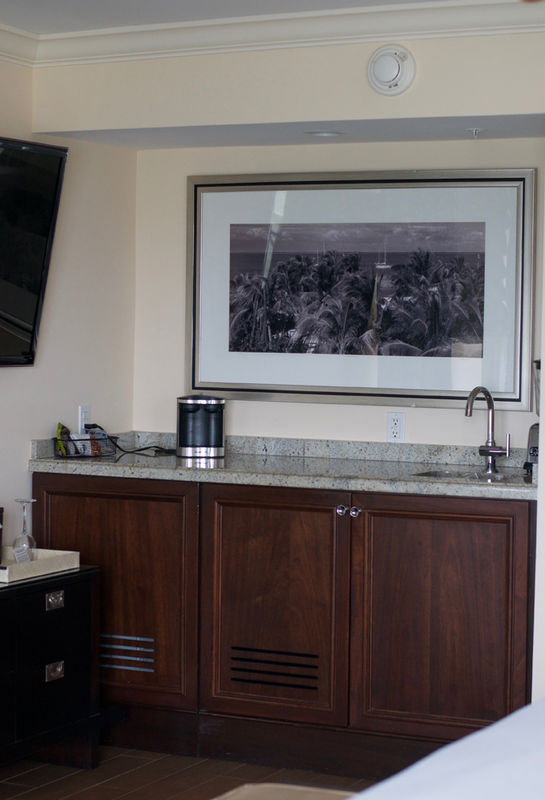 We informed them upon check-in we were celebrating my birthday and they offered us complimentary beverages! Yay for birthdays! 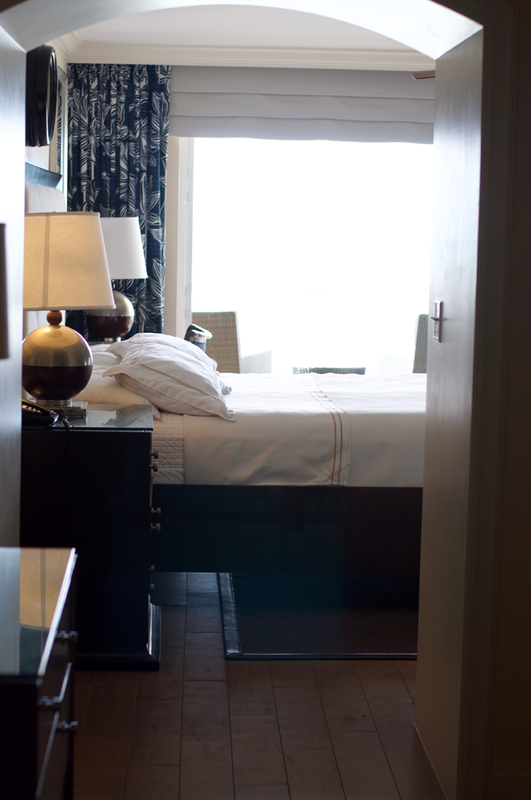 Our room was a Ocean front balcony king room. 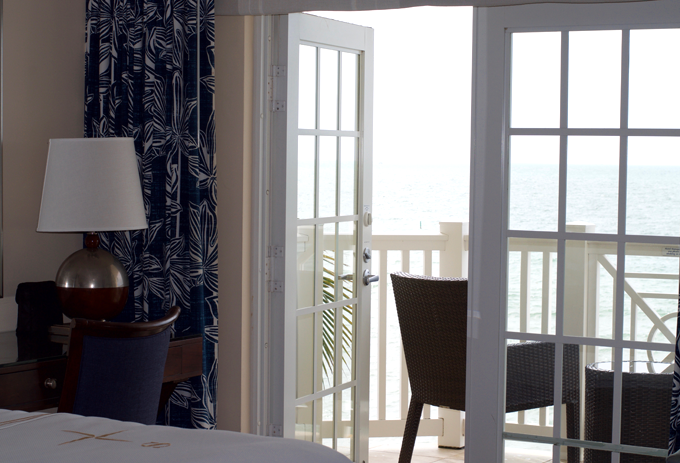 The balcony opened up to the ocean and offered a wrap around view of the water. 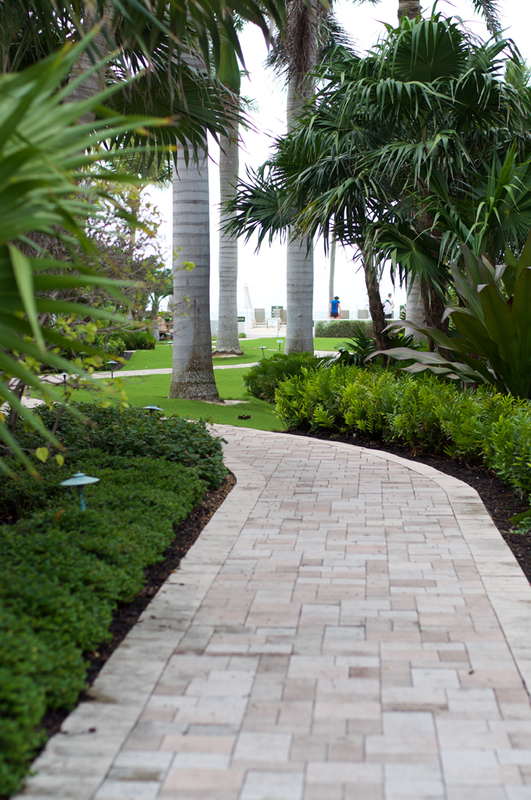 Other than the soothing sounds of the ocean it was a nice and quiet area. 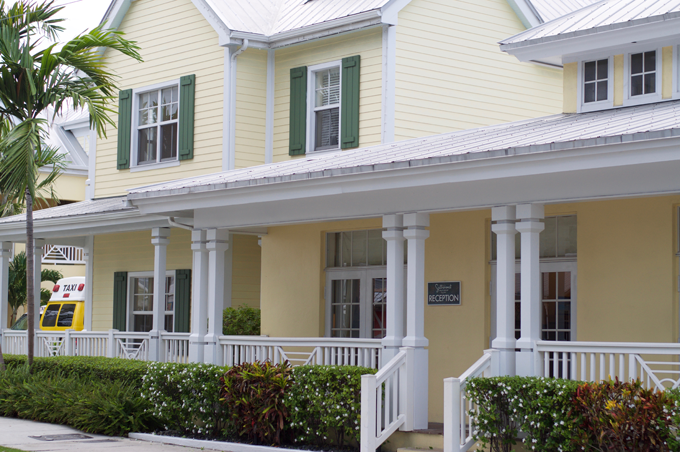 We enjoyed chocolates on our pillow at turn down, and friendly service by everyone on the entire resort grounds. What a gorgeous way to wake up to the day with views like this. 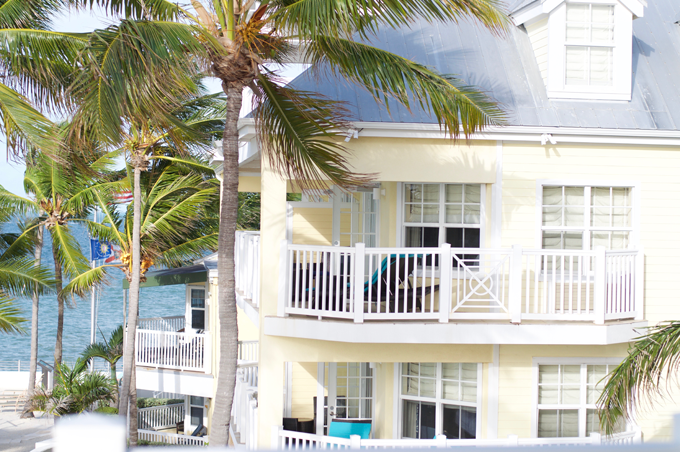 This balcony was directly across from ours and shows you how nice the wraparound porch is and opens to the ocean. 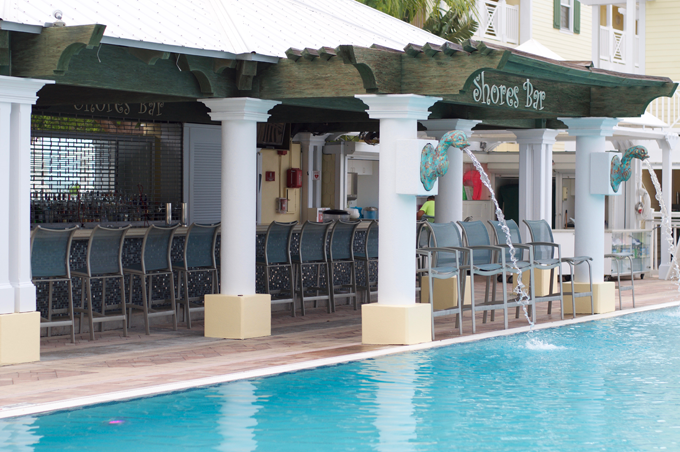 Our favorite place to be..... pool side with pina coladas! 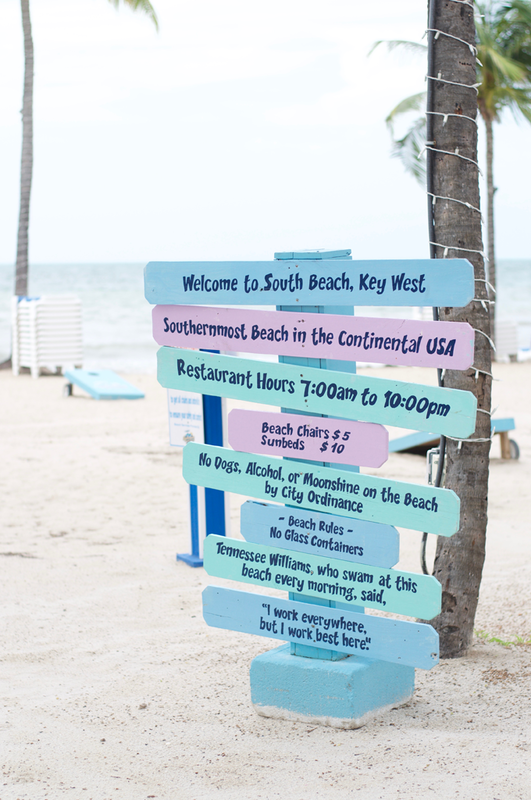 You can bet we are already planning a trip back to The Southern Most Beach Resort. Man, I miss these views.